Earlier this month, Shuttlelift announced the launch of a new website that will do more than simply provide an overview of the Sturgeon Bay, Wisconsin-based manufacturer’s product lineup. Instead, it will offer a comprehensive portal to the world of Shuttlelift, from current news and events, to industry-specific information and photos, to service locations and maintenance tips. The new site features six information-packed sections. First is a “Why Shuttlelift” page that describes the company’s dedication to partnership. Here, site visitors will learn how the Shuttlelift team “walks the yard” with each customer, determining traffic flow, terrain and building specifications and discussing load capacity, material handling, mobility and safety so the manufacturer can provide customized lifting solutions that are unique to that customer. In the “Gantry Solutions” section, visitors may view Shuttlelift’s products side by side. One simple click reveals all the available features and options, plus a variety of photos, videos and brochures. 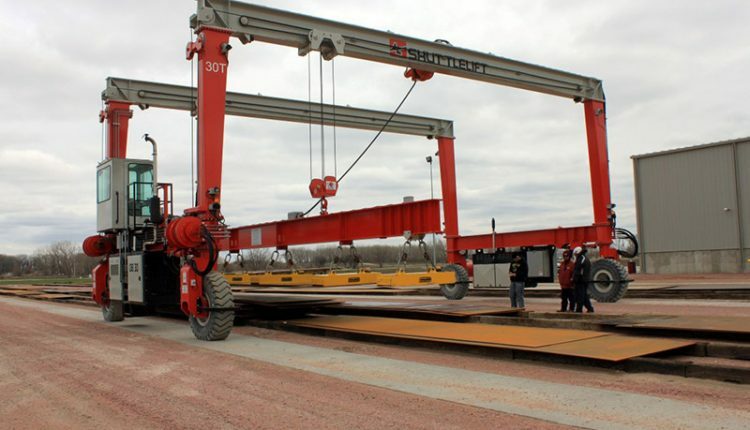 To determine if a Shuttlelift mobile gantry crane is the right solution for a particular industry, the “Industries” section provides descriptions and images that demonstrate how Shuttlelift works with the aerospace, concrete, construction, energy, material handling and steel industries, as well as with federal government agencies. If an industry is not listed, the company encourages visitors to contact its Sturgeon Bay headquarters directly to discuss specific needs with the experts. That’s not all. In “News & Events,” visitors will find the latest information about Shuttlelift’s activities worldwide, and in “Customer Care,” Shuttlelift provides details about global service providers, important maintenance tips and a reminder that the company is a long-term partner, not just a vendor. Minten also noted that additional capabilities will be added to the website in the future. To stay up to date on the latest developments, follow Shuttlelift on Twitter @shuttlelift. For more information about Shuttlelift and its full range of rubber-tired gantry cranes, e-mail the sales team at [email protected] or visit www.shuttlelift.com.